In this life-giving book, Joanna Weaver shows you how to embrace the truth that Jesus loves you apart from anything you accomplish, apart from anything you bring. Just as He called Lazarus forth to new life, Jesus wants to free you to live fully in the light of His love, unbound from the grave clothes of fear, regret, and self-condemnation. I actually read this book a few years ago, and ended up giving my copy away because I liked it so much. This book really draws the reader into the world of Jesus and how He loved people in the Bible. 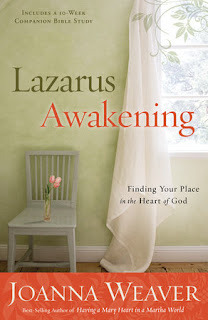 Weaver helps you realize how much Jesus loves you and throws in her own life stories. This book also includes a study in the back of the book. The video study also just came out that goes along with this book and another study book. 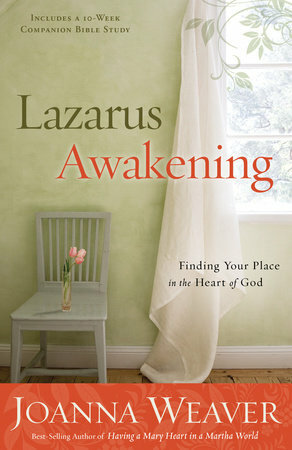 You will look at Lazarus' life in a new way and how people really haven't changed that much since then.